When you smell good, you feel good. But when you smell like everyone else, you feel like a consumerist zombie marching towards fragrance conformity. Toss your bottle of Calvin Klein Obsession and pick up something a bit more original at these Calgary boutiques. D.S. 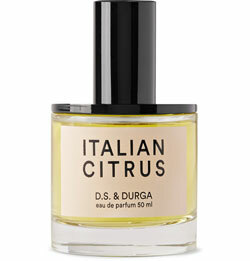 & Durga is a small-batch perfume maker based in Brooklyn. The founders travel the world collecting herb and floral essences for their concoctions, which are all based on “half-remembered myths and imaginary landscapes.” Those are pretty lofts words, but stop by Stuff and sample a few of the bottles and it will all make sense. Our pick: Stuff stocks four fragrances from the line — Burning Barbershop, Radio Bombay, Italian Citrus and Bowmakers — but we’re basically addicted to Italian Citrus because of its super-fresh summer vibes. The moment Dasein hit the shelves at Fieldstudy, it basically sold out immediately. It’s no wonder — one whiff of the season-inspired juice will revive all your sense memories. The company is named after existential philosophers Hegel and Heidegger’s term to explain the human being as the cross section between self-awareness and sensual experience. It will all make sense once you try it. Our pick: Winter will make you think you’re frolicking in the snow in the mountains, with a fire nearby. And that’s awesome. Fashion designer Lauren Bagliore travels to Italy often to get design inspiration and source materials for her womenswear line. 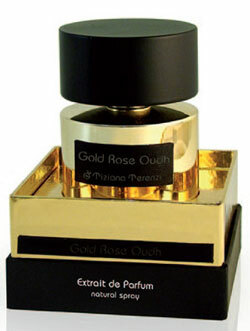 She discovered Tiziana Terenzi on one of her trips, fell in love with the super-exclusive line of perfumes and candles. 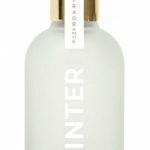 It’s no wonder Harvey Nichols and Barneys also has a line on these perfumes. 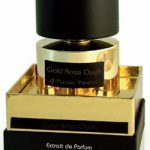 They’re big and complex and rich smelling — the type of scents that infuse with the world around you and become your aura. Our pick: Step into Lauren Bagliore’s concept shop in Inglewood and breathe in — what you’re smelling is her personal favourite Gold Rose Oudh. It’s our fave, too. One of the oldest perfume makers in the world is also one of the world’s most sought after to this day, and gravitypope carries it. 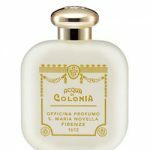 Santa Maria Novella got its start in Florence (where they are based to this day) during the Black Plague making rosewater distillate to disinfect homes. 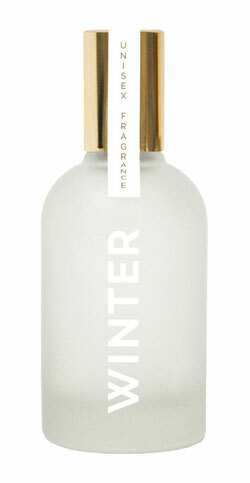 That formula is still made today and is used primarily as a toner. 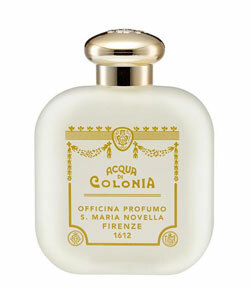 Our pick: The classic unisex Acqua Di Colonia is still as fresh as the day it was made for Catherine De Medici. 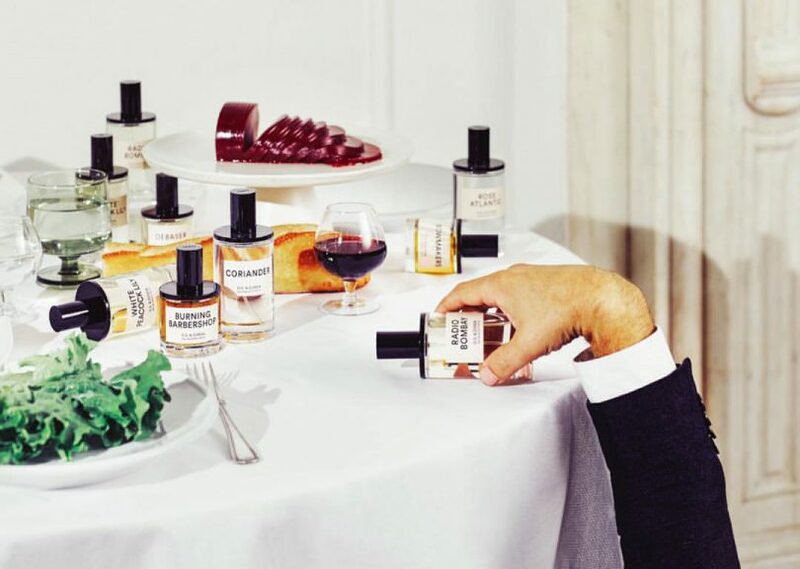 Another old-timey fragrance company that continues to be popular today, Floris is well suited for the apothecary vibe at Kent of Inglewood, where the well-informed staff will let you spritz and dab each tester until you find your fragrance soulmate. Floris was founded in 1730 when they opened their shop on Jermyn Street in London. The tradition of crafting gentlemanly juices is continued by their descendants to this day, and have been worn by people such as Winston Churchill, Marilyn Monroe and Ian Fleming (so, basically James Bond) and is the only perfumer to hold a Royal Warrant from the Queen. 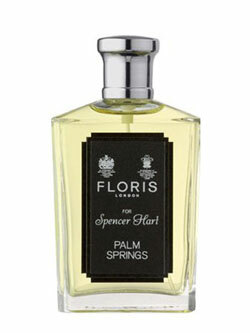 Our pick: Floris for Spencer Hart Palm Springs is an homage to mid-century Palm Springs, swimming pools, stiff cocktails Brat Pack and all.